You’ve heard about smart home technology—and we’ve written about it recently here—but did you know that smart technology has hit the road? Smart technology designed specifically for hotels is already enhancing the way we travel, rest, and visit new places. From how we “key” into our hotel rooms to how we order room service, hotels around the world are exploring new ways to accommodate guests on a more personal level. For example, Starwood Hotels is in the midst of a two-year $100 million investment to explore, create, and install high-tech amenities for its hotels, and they certainly aren’t alone in installing the latest tech for their guests. The reason is, perhaps unsurprisingly, data. As the United States’ 80 million millennials start to surpass Baby Boomers as the generation that travels the most, hotels have realized these millennials are highly sophisticated when it comes to high-tech, as well as getting the most value for their money. It won’t be long—industry analysts say between five and 10 years—when the average millennial checking into a hotel will expect an entirely tech-enabled stay. Hotel companies are focusing on technology that creates an easier, more comfortable, more personalized experience. Forget about keeping up with your room key: The Alma Barcelona in Barcelona, Spain uses fingerprint swiping instead of keys for room doors, and the Nine Zero Hotel in Boston uses retinal scans. Hilton, Starwood and Marriott already use smartphones for keys at many locations, while at Virgin Hotel in Chicago guests can use their smartphones to open doors, control the thermostat, adjust lighting, and switch channels on the TV. Marriot has also jumped into virtual reality with its Travel Brilliantly campaign: An eight-city virtual reality tour with a “teleporter,” which offered VR jaunts through England and Hawaii. And startup, Savioke, recently completed funding for expanding its Relay robot – a hotel bot that uses Wi-Fi and 3D cameras to deliver toothpaste, towels and other sundries to guests’ rooms. 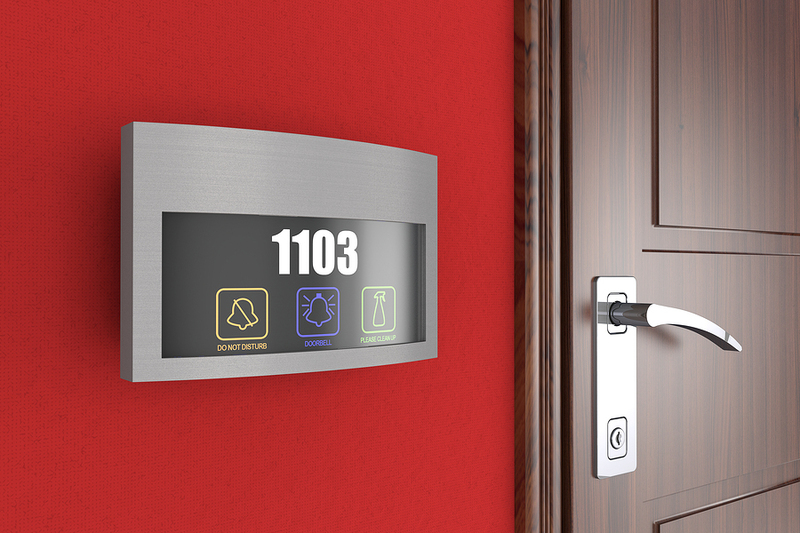 Some of the new hotel technologies may feel like overkill: The rooms of Hotel 1000 in Seattle, for instance, feature an electronic doorbell that silently scans a room with infrared sensors to detect body heat, giving the cleaning staff a super-spy insight into whether you’re up and out of your room. But regardless of whether every idea goes mainstream, travelers definitely come away with the prize of more restful, more engaging, more personalized travel experiences. What enhancements in hotel tech have you noticed during your travels recently?